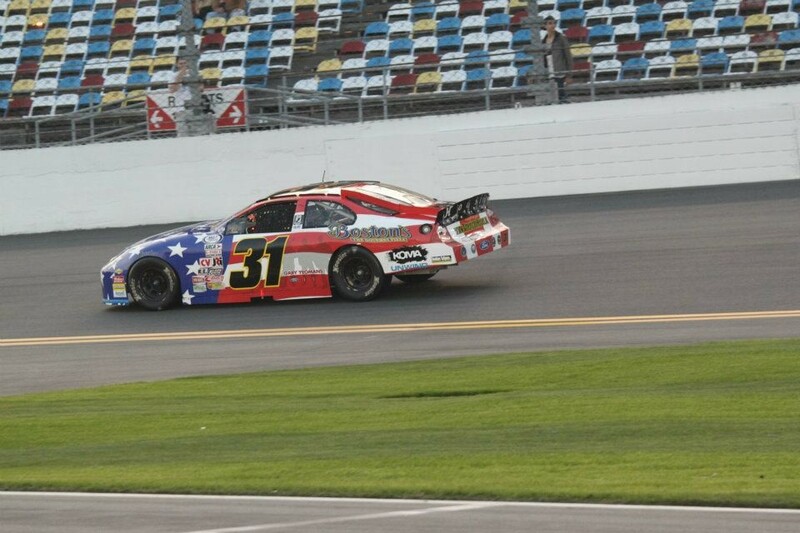 Today at Daytona the American Heroes Car placed 33rd out of a field of 52, some more tweaking tomorrow, to find a few more mph out of her!!! Good job everyone! Cars Are Loaded, Daytona Here We Come! 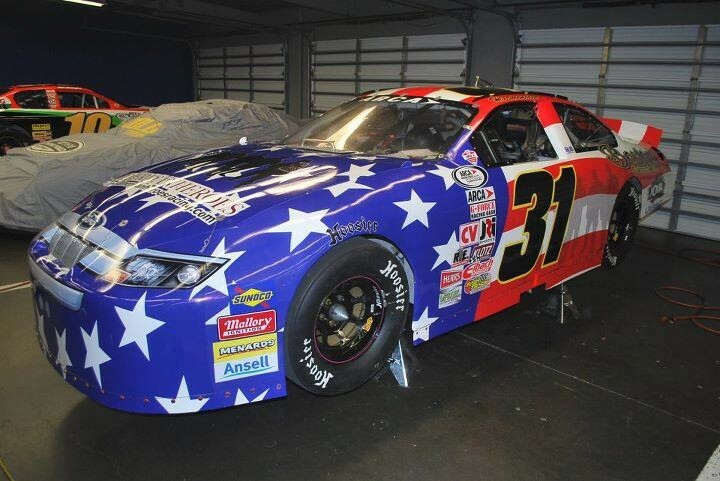 Safe travels to the team today a years worth of preparation and lots of hard work put into the Daytona cars, this year I have 4 cars entered, drivers meeting tomorrow, practice starts Thursday, wish us luck! 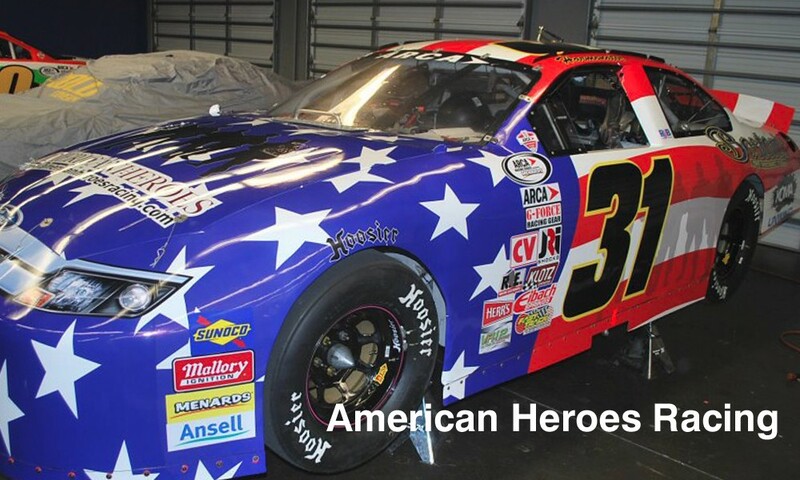 ‎#31 #74 American Heroes Racing ARCA & Nationwide series cars for DAYTONA, They are two BAD looking rides! Great job guys! and all upcoming races! If your business or brand would like the opportunity to be part of history, please feel free to e-mail us! This is going to be a huge opportunity for companies to come on board with a race team like they have never seen before! Pass the word! 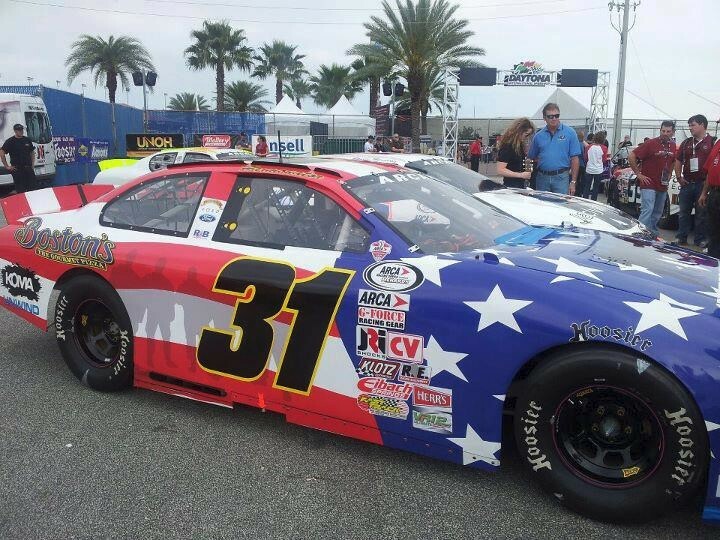 #31 American Heroes Racing ARCA series car for DAYTONA, wrap is done!!! She’s one BAD looking ride! Great job guys!